In Muslim World including Arab countries like Dubai, Saudi Arabia, United Arab Emirates, Kuwait, Iran, Iraq etc are prosperous in their traditions and culture. They never forget about their religion whether doing any celebrations ceremony or performing any event. Islam has raised the status of women, Muslim ladies always tend to cover their heads with scarves and wear proper hijab. 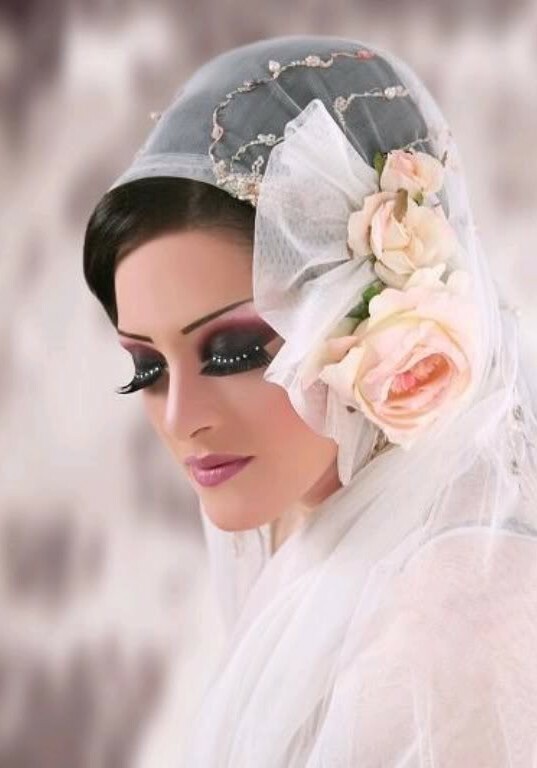 Even if on the wedding day, an Arabian Bride almost always cover up her head. Wedding is the most important and special day in one’s life. every girl wishes of that day and that exceptional bridal dress. 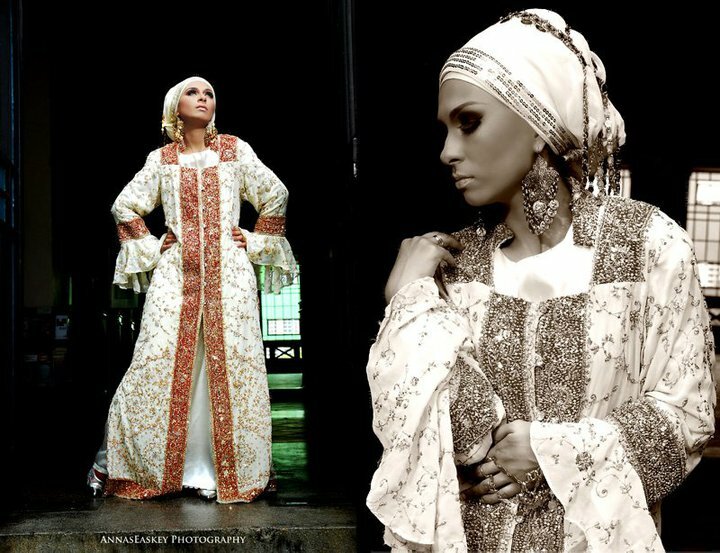 This post is all about the Arabic Bridal dresses for Muslim ladies. The Arab Bridal dresses are especially designed with beautiful fancy & embroidered hijab and scarves. They are of luxury materials like Chiffon, Net, Silk and many more. Beautiful hand work embroidery is done on the dresses to have an extravagant look. Stone gems are added for further decoration. Motifs, laces and sequin work is carried out on the attires for additional elegance. Here you will see New Arabic bridal Dresses collection and hijabs for Muslim Women. The series includes all the suitable & chic wedding outfits for Arabic Muslim ladies with decent and fine head covers like hijab and scarf. 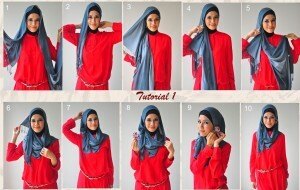 It is necessary for the Muslim women to encapsulate their whole body except the hands,feet and face with clothes. So the wedding dress must be a full cover costume so it is applied to the whole. 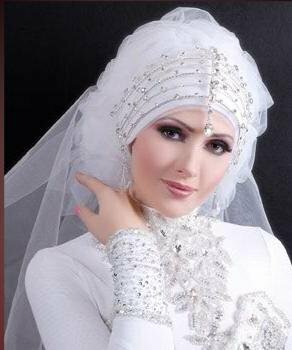 Full sleeve bridal gowns with hijab is ideal for Arabic women. The gowns are stitched in a very fine pattern with delicate embroidery work. You can also wear these gown style dresses for parties and at events. The eye-catching colors are contrasted to make the dresses more appealing. 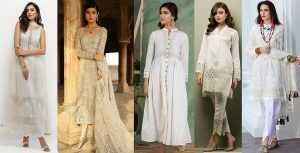 If you are a Muslim women then must try any of the trendy attire from this collection. I bet you will look superb and gorgeous. Have a look on the below posted images and get inspired! Stay visiting Styles Gap for latest fashion stuff.